Notes Maximum distance supported only with 50um cable. SFP-10G-SR-PCW, generic for Cisco SFP-10G-SR, is guaranteed compatible for your router or switch. All transceivers are tested in-house prior to shipping to insure they are in perfect physical and working condition. 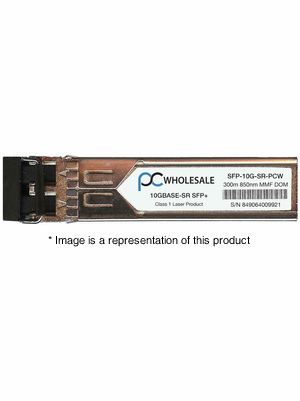 PC Wholesale guarantees SFP-10G-SR-PCW will work in your Cisco device.